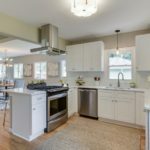 Coastal Design Ideas have always been popular, but with some focus from popular television programs and interior design companies, the appeal to have a coastal home wherever you may live has grown increasingly popular. 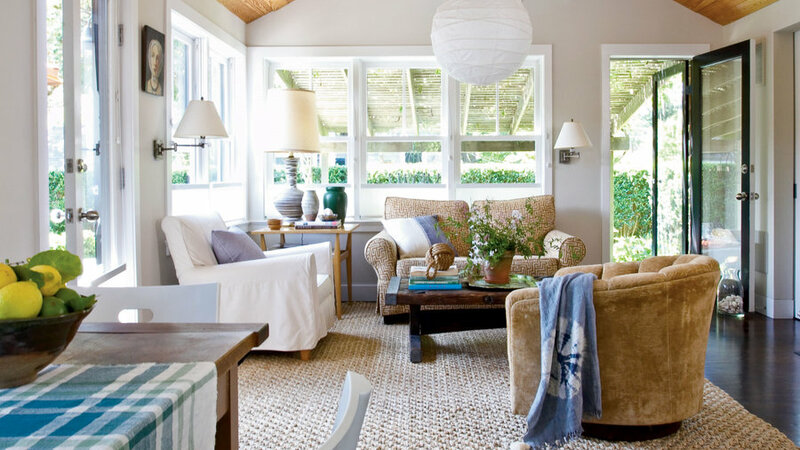 If you’ve fallen in love with coastal design and want your home to give that seaboard warm and fuzzy when your guests walk in the door, there are some steps you can take to achieve picture-perfect seaside style without going through a total home decor overhaul. If you’re looking for a few nice accent pieces in your living, take a look at single side chairs. In this photo, you can see a bamboo dining chair painted in a glossy back which brings a little bit of the sea into your living area. You can play with prints on your seat cushions, but this small-scale green print is a really nice compliment. Seagrass rugs are attractive, sustainable, stain-resistant, and easy on the toes. You can pair up a chunky seagrass rung with a neutral palette to bring just the right amount of coastal design into a small, casual space. Accent walls or accent islands are a great way to add beach flair to small spaces without committing to the expense and hassle of tackling the whole room. Paint your built-ins, free-standing islands or even your backsplashes with an eye-catching color. The bold hue will highlight the overlooked space, and your favorite china and fine accessories will pop against the bright backdrop. You can keep shine to a minimum and enhance that worn seaboard look by using a matte finish. Even the most contemporary seaside escapes need a little natural detail. Whether that’s on your table or above it is up to you. 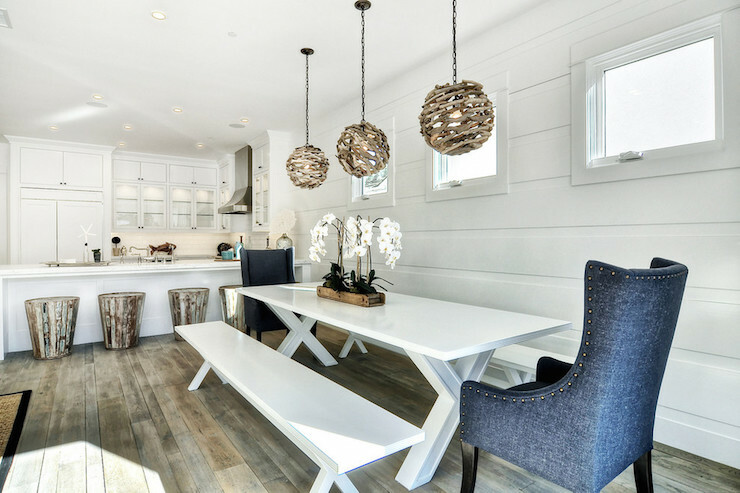 These 3 driftwood chandeliers hanging over a white dining table paired with a matching bench and dark gray wingback dining chairs with silver nailhead trim atop rustic plank floor are the epitome of coastal flair in a modern living space. You see them all the time but often wonder to yourself “where would I put that”? Your new coastal design home is the perfect place. Try placing colored glass jars or vases on empty, out-of-reach storage shelves. In this kitchen, the jars’ sparkling color mimics the hue of sea glass. Old-school glamour is right at home in this West Palm Beach condo. The vintage sun-shaped mirror pulls the room together and adds a touch of glint to the room’s vibrant orange color scheme, white accents, and streamlined midcentury furniture. Who said the 60’s are dead? A different appeal from the driftwood accent, but coastal to the core. Add some texture and warmth to loftlike, contemporary spaces, try incorporating one or two woven accents into the room’s decor. 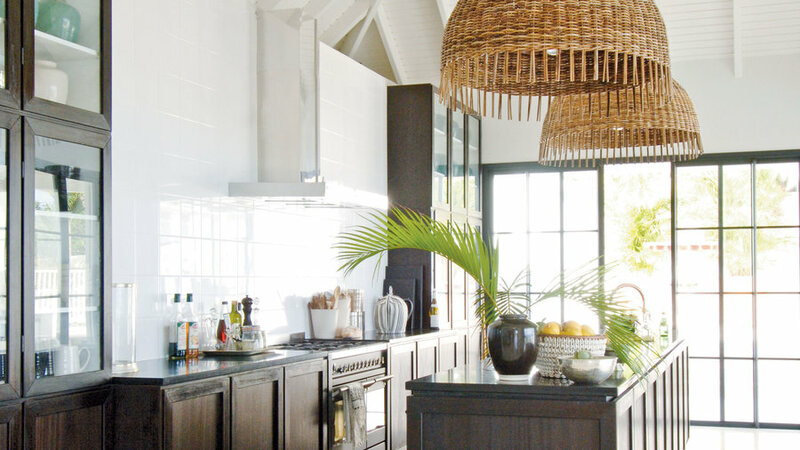 This kitchen’s cool black-and-white color palette is made more inviting with the help of giant, inverted woven baskets, used here as pendant lamps. 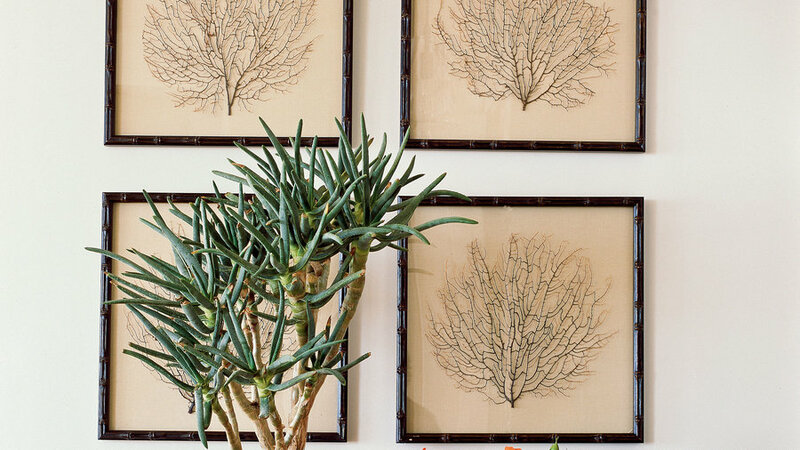 These aloe plants, mounted on luxurious linen and framed in sleek bamboo, offer just a hint of natural elegance. The grouping of frames brings the formality up a notch, perfect for entryways and formal dining areas. 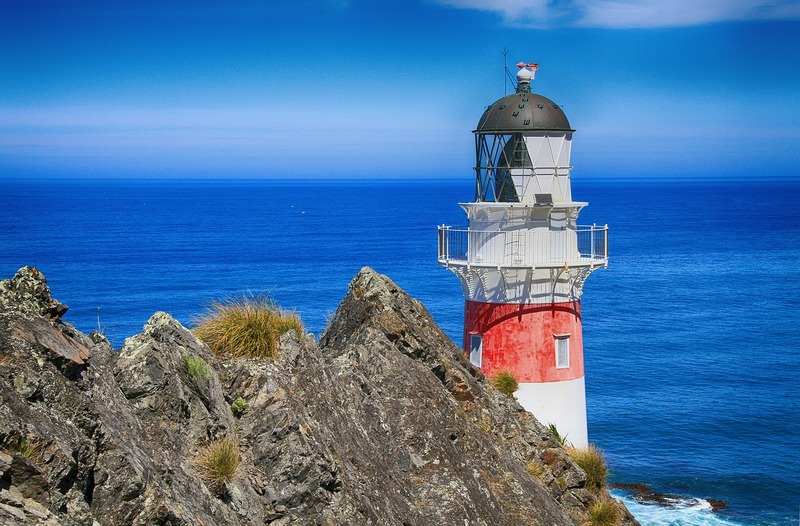 Some homeowners can go all the way and implement the nautical theme throughout the house. 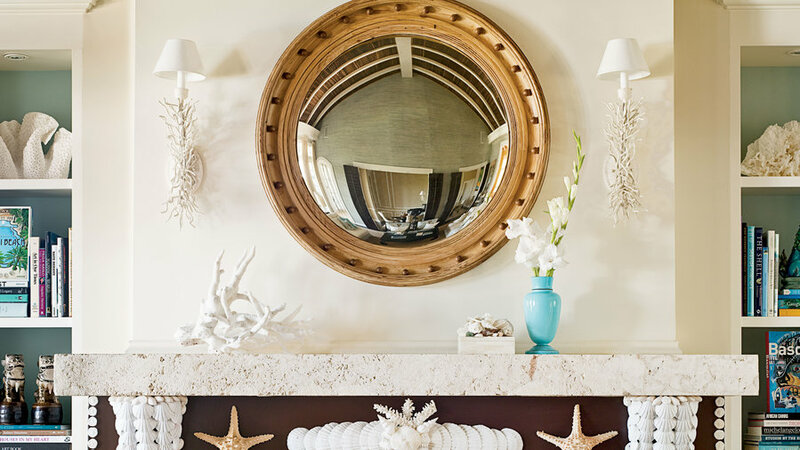 You probably can’t get into the intense beach vibe of this example, but the oversized porthole mirror above the fireplace is a simple addition to any space that screams coastal influence. 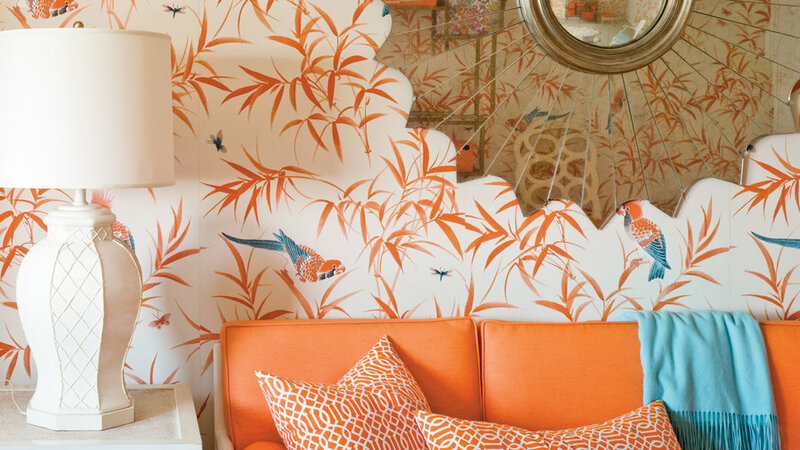 Coral is often included in coastal homes because of its natural bone white hue and unique, sculptural shape. Here, white coral sconces pop against golden seagrass wallpaper, offering a perfect touch of natural appeal to a lofty, polished master bedroom. Sadly our oceans are now full of bleach white coral due to barrier reed die-off. There’s plenty of this to go around and you can bring the sea back to life in your home with soothing wall-scapes. 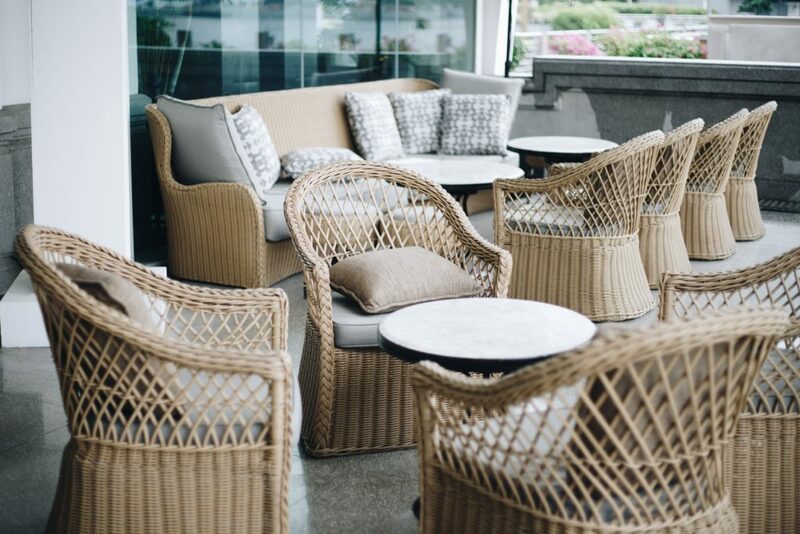 Once upon a time, wicker was considered an outdoor piece of furniture. 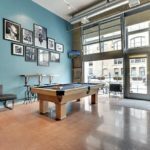 Modern interior designers have pulled many of these outdoor elements inside to the tie those important elements into your theme. Wicker’s durability and attractive finish can make it focus peice in your coastal themed home. A single chair accented with a bright cushion can brighten up overlooked spaces in a splash! Pattern-on-pattern themes have been around since people started designing living spaces. And who can resist the elegant, whimsical use of a color splash that is perfectly placed? 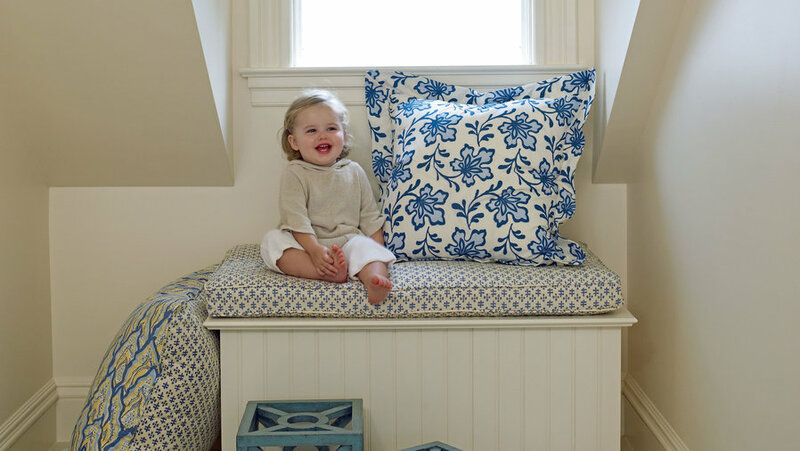 The trick to combining multiple patterns is to vary pattern scales and limit fabric to a single color scheme, like this window seat’s classic nautical blue. It’s an easy, inexpensive update that can be switched in and out on a whim. Lastly, the most important room in the house; your sanity, your calm, your retreat – the bedroom. This room should reflect (in any home setting) the place you long to slide into not only while traveling at your bucket list resorts, but in your own home as well. Your bedroom should be romantic, yet a place of tranquility. 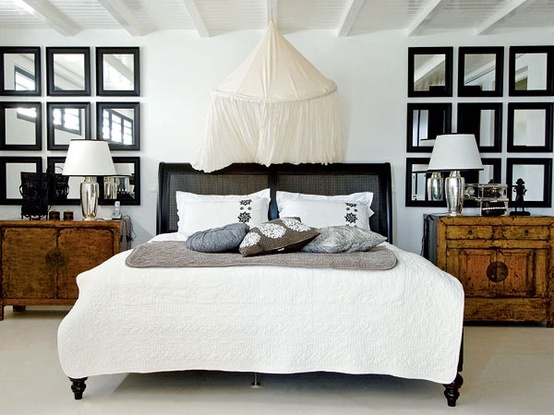 Try draping your bed in a gauzy, white netting. It’s a simple addition that will make you feel like you’re snoozing in a romantic retreat every night.